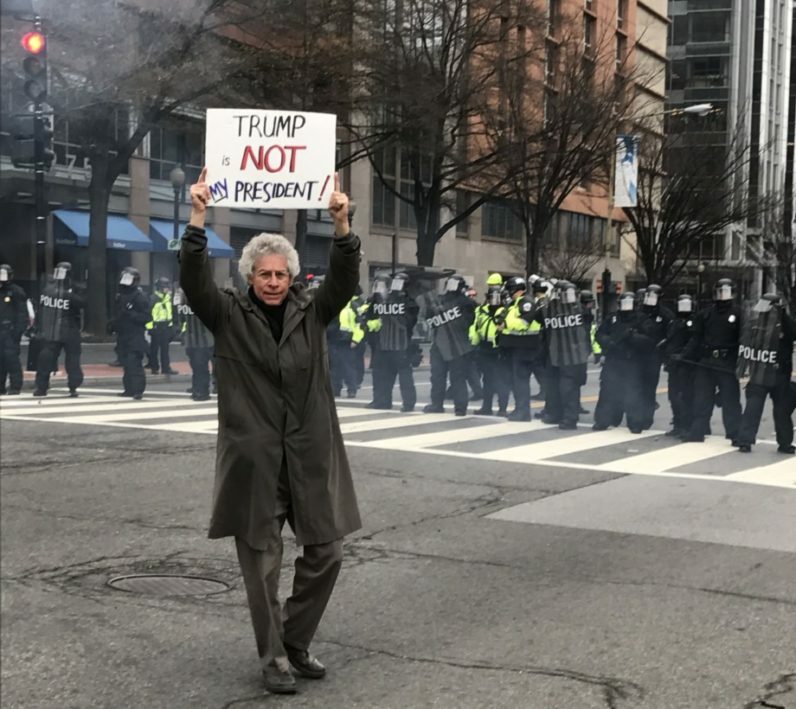 Dr. Garrison’s words conjure a powerful image of the Women’s March of January 21st, where placard in hand the CEO, founder and president of Ubiquity University took to the streets of Washington DC to speak out against Donald Trump, a man he says will “decimate the Earth”. The Women’s March was the biggest one-day protest in U.S. history, with an estimated 4.2 million Americans joining forces in more than 600 U.S. cities. From Dr. Garrison’s depiction, it was a starkly different affair compared to the Inauguration, just one day earlier. Perhaps this, at least, is a comforting thought for a president obsessed with superlatives and beating records. But the truth is, while Trump has mobilized millions, it’s not in the way he might have dreamt. Jim Garrison’s political activism stretches from the street into the business world. On the Ubiquity University blog, on Twitter and Facebook, and also writing for The Huffington Post, he shares information, rallies audiences and incites change. Reading his pre-inauguration ‘Call to Action’, a rousing command to fight the power and protect the planet, I’m eager to find out what motivates him, and how he believes individuals and business leaders can make a difference. “I believe that politics is an essential aspect of our lives,” Dr. Garrison explains. “We don’t get involved in every political issue, but we take stands. I think we’re in a situation with Donald Trump as the president of the United States where we’ve reached a tipping point. If we don’t take a stand against Trump and stop him, he’s going to destroy the world as we know it”. He goes on to describe Trump’s outrages against democracy and the environment. In particular, he’s referring to the president’s plans to drill the Arctic for oil. This invasive activity, which threatens the fragile ecology of the Arctic, was banned by President Obama in late December, though his successor has been particularly vocal about opening federal lands to fossil fuel production. In a blog post titled “Make The Earth Great Again!” Dr. Garrison asks that during the week of April 22-29, between Earth Day through to the Washington DC People’s Climate March, people continue the momentum of global manifestations and come together once again. In an earlier entry, circa 2015, he muses on how a Taylor Swift/Kanye West presidency might play out. It’s tongue in cheek, a poke at the would-be horror of a celebrity president, and evidence of the more playful side of the long-time activist and academic. Dr. Garrison has been politically active since he was young. “I refused to draft during the Vietnam War, and I’ve engaged in all kinds of protest since then. While studying at Harvard, I organized a takeover of the administration building to force the university to disinvest from South Africa because of apartheid. I organized massive demonstrations at the Pentagon and actions against nuclear power facilities. I’ve been arrested for disobedience maybe half a dozen times.” He’s not exactly new to the game. He knows how this plays out, from his days as an activist, but also as an academic and a business leader. In the turmoil of a Trump presidency, business leaders across the globe have sought to make a stand against divisive politics that have potentially catastrophic consequences. From Apple to Zappos, directly lobbying and protesting, or agreeing to stock Trump homeware, brands are deciding where to position themselves in the foray. At the same time, we’ve seen the temporary closure of borders to immigrants and refugees, dismissal of climate change issues, reinstating the global gag rule, new plans for oil pipelines and, who could forget, that legendary wall. Amid this chaos, the largest protest from industry leaders has undoubtedly come from the tech world. Should brands get involved with politics, I ask. “Engaging in politics is good for democracy, it is good for business and it is an excellent way to develop a cutting-edge brand,” says Dr. Garrison. Though it’s no bed of roses. He tells me when he first raised the issue of climate change ten years ago, people in the university were upset. He lost students and faculty, people he says that believed politics had no place in academia. But, corporate involvement in civic affairs is nothing new and Dr. Garrison notes that over time people have come to see that climate change is an issue that every individual and company must deal with. An interconnected world and digital media brings these conversations into the foreground. He reels off numerous instances, from Patagonia’s political stands, Richard Branson and Virgin, to Apple’s privacy stance, UBS’s women’s banking and VC firms like Green VC that will only invest in green technology. “It’s intensifying,” he says, particularly when it comes to the environment, but still more is needed.